Get home cleaning services in Bangalore with a 30-Day Service Guarantee and Protection against Damage upto INR 10,000. We have Well Equipped and Trained Team, who carries out Deep House Cleaning and Sanitization with Non-Hazardous Chemicals. Book our experienced team to get your every nook and cranny in your home cleaned thoroughly and wow everyone with your sparkling clean home. Book our deep cleaning services in Bangalore today and free up your precious time! They've done a good job. Thanks Urban clap! Repeated their services. Absolute professionals. Did not coomplete all the racks ..
Great cleaning service and dedication of the cleaners.. The best part is they cleaned it without supervision.. Happy with the service.. Very well done and very well mannered people who came to donthe job. Still i can see spider webs and cockroaches in the house..
Wasn't exactly deep cleaning. Neither was everything cleaned. But overall, not bad. Alpha Cleaning group alloted by Urban clap was excellent. They took their time to ensure each and every corner is cleaned. I am more than happy and the price at which Urban Clap provides is uncomparable. I would like to say their lead Satyabrat he was damn good person and he really managed team very well ensure his team did a delightful work. Photo is just a quick snap i have taken..
Job was just OK, they do not do extensive dry vacuuming first which means that a lot of dust just gets locked with the chemicals. Also, the kind of brush they use to clean and scrub the fabric is very rough and damages the fabric! Nothing wrong with the people who came to clean, but the company needs to upgrade and provide better training and materials to their staff. Also, the staff needs to be clean first and do not even use gloves, so i wouldnt recommend this company again! Quick and courteous workers. Sofas came out very well, but the carpet was disappointing. Very satisfied with the cleaning services. It wasn't a proper deep cleaning, rather a basic washroom cleaning. Did not scrub all marks on floor and walls. Savvy scrubbers team led by Uttam did a wonderful job. The way they cleaned the flat was completely professional and performed wonders. The flat we're moving in was not used by the owner for more than a year so you can imagine the mess. But without any complain, team finished the job amazingly. Kudos! Keep up the good work! The team came on time and did the great job. The house was empty and they cleaned it well and also i had no issue of leaving the staff at home but Only thing i felt is they lack bit of time management and they always need someone to be present in the house. The service is slow. It took 7 hours to complete the job. Also one of the person out of the 3 was not experienced enough, we had to tell him everything that needs to be done. Need to send more professionally equipped people for job. Amazing work. Full Diwali cleaning done in a day. Very cooperative and easy going guys were assigned. Very happy with the service. Thank you! Do you procrastinate deep cleaning your home? 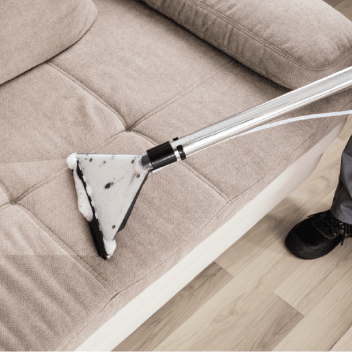 Are you scared of looking under your sofa or bed knowing that it will be full of dust and germs? Do you feel overwhelmed by the size of the task when you finally start cleaning? Then, don’t worry. UrbanClap home deep cleaning service is the right option for you. We offer economical home deep cleaning services in Bangalore to our customers. We also provide special cleaning services such as kitchen deep cleaning, bathroom deep cleaning, sofa cleaning, etc. to our customers who are looking for specific cleaning services and do not want their entire house cleaned. Get a Sparkling Clean Home: Regular cleaning is important to remove dust, allergens and germs from your home as they may lead to breathing difficulties, allergies and diseases especially in children and pets. By hiring cleaning professionals it becomes easy for you to maintain a clean home that is free from dust, allergens and germs. Professional cleaners thoroughly clean and sanitise each nook and cranny in your home so that all the germs and allergens are removed or killed. Save Your Precious Time: When you hire cleaning professionals, you can be sure to save a lot of time. Not only do you free up hours that you would have otherwise spent in scrubbing the floors, disinfecting the surfaces and dusting the furniture but also get fast results by hiring professional cleaners. 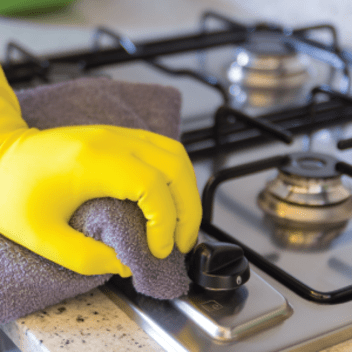 The cleaning professionals are trained in using different tools and products that they use to deep clean your home at a fraction of the time it would have taken you to do it all by yourself. You can spend your free time to read a book, learn a new skill, catch up with friends or have fun with your family. Reduce Stress: Most people feel stressed out when they have to clean their homes since they feel overwhelmed by the sheer amount of work deep cleaning requires. If you feel the same way, you should consider booking a professional home cleaning service from UrbanClap. The cleaning professionals can carry out the tasks effectively while you get some time out for yourself and relax at home. It will also bring your stress levels down and help you relax. Get a Healthy Environment in Your Home: After a home deep cleaning service, you will feel that the air in your home feels cleaner and the surfaces are sparkling due to the removal of dust, stains and germs. Your house would smell fresh and look clean as well. Your home is now a healthy environment for you and your family to thrive. You can avail home deep cleaning services based on your personal needs and budget as there are no hard and fast rules to follow. The frequency also depends on the size of your house, number of family members, number of children or pets at home, etc. If you hire a full home deep cleaning service then it may be a good idea to book the service every two months to maintain cleanliness. Vetted Service Providers: UrbanClap has stringent selection criteria to makes sure that all the professionals who are registered as service providers can be trusted by the customers. This ensures that the customer’s safety is not compromised and the customer can relax while availing the home deep cleaning services. You can trust the service providers you book from UrbanClap. 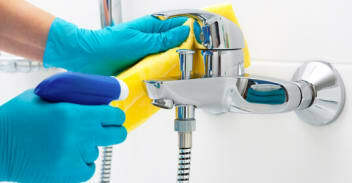 Trained Professionals: Home deep cleaning requires special equipment and techniques to make sure that the job is carried out to the customer’s expectations. The professionals registered with UrbanClap have significant experience in the field and offer high-quality services. They do not need instructions or supervision from you to complete their jobs. However, if you want them to carry out a task in a specific way, you can freely discuss it with the service provider. Assured Customer Satisfaction: UrbanClap carries out multiple levels of quality checks when it comes to quality of services provided by registered service providers to ensure customer satisfaction. We also have a special section on our website and app for customer reviews where we encourage our customers to share their honest opinions. This helps us improve our services and keep our customers happy and new customers to find out about our service providers. insurance coverage of up to Rs. 10,000 to its Bangalore customers. 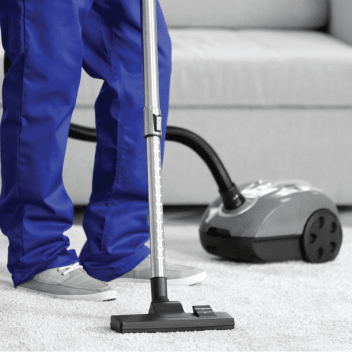 What are the Equipment And Chemicals Used by Professionals Cleaners? Visit the UrbanClap website or download our mobile app to book an appointment with our professionals. What Other Professional Cleaning Services Does UrbanClap Offer?